Guest Blogger, Tristan, answers your question about snack alternatives. I’m so excited to share a few thoughts with everyone about food in a homeschool family’s day. As a mother of eight children food is never-ending and needs made in large quantities. It also brings with it a lot of dishes. 🙂 Readers pose wonderful questions and want real-life solutions. Hopefully my family’s solutions will inspire you to discover what works for your family. The one and only reason I envy public-school parents is that they don’t have to deal with snacking. In and out of the fridge, the pantry, the freezer, asking “What’s there to eat?” all day long. I read that snacking is actually better for the child’s systems than spread out meals, so I don’t want to stifle the snacking, but it is wearisome coming up with new, exciting, healthful choices. Any suggestions? Snacking can be handled in many ways. In our family we run a closed kitchen. Food is offered at specific times of day, including scheduled snack times. We grew tired of hearing a thousand requests for food. Other families I know have a snack shelf that children are free to pull from anytime they’re hungry. One of the secrets to snack time is you do not need to change WHAT you feed them as often as HOW you present that food. Add peanut butter to dip it in. Slice it into thin circles (core it first) and add peanut butter between two circles for a sandwich. Include a handful of nuts or a slice of cheese. Peel it and offer apple slices next to a bird’s nest of peel to munch (yes, some of my children love the peel). Another way to change how a food is presented is to use a variety of containers. A bowl, cup, plate, muffin tin, small pie pan, or a large platter to pick from all add interest to the same old snacks. What about putting out toothpicks or chopsticks to use? Put fruit on kebobs. I have a go-to list of snacks I pull from and since the questioner wanted ideas I’ll share. Some are healthier than others but all are foods we actually eat for snack time. Fruits – Apples, pears, watermelon, bananas, strawberries, grapes, melons, raisins, oranges. Vegetables – Carrots, celery, cucumbers, salad greens without the dressing (little ones love munching greens ‘like a bunny’), baked and cooled potatoes, peppers sliced, and so on. Muffins – Make your own and you can play with the amount of sweetener used. Add veggies like pumpkin, sweet potato, or zucchini. Toast with jelly, nut butter, or cheese. Smoothies – fruit, spinach, and some water or yogurt. Play with a little peanut butter, cocoa powder, or other extras. Crackers with toppings like peanut butter or a slice of cheese. Leftover pancakes or waffles (again, little ones love carrying these to munch, no syrup needed). Graham crackers, a few mini marshmallows, and a tablespoon of chocolate chips – smores without the mess! Chocolate chip cookies and milk. Some days you just need a cookie! Now it’s your turn to share your family’s favorite snacks! What are your go-to foods when feeding your families? Special thanks to Guest Blogger, Tristan, a happily homeschooling mother to eight sweet children age 12 and under. She blogs about mothering and homeschooling her brood at Our Busy Homeschool and shares what it’s like raising a child with serious medical needs at Mason’s Spina Bifida Journal. One of our very favorite units from Homeschool Share is on Jan Brett’s Armadillo Rodeo. My son was six when we used this unit and he had so much fun! The unit study has been re-done since we used it, so the graphics are even better and it’s easier to download and print! We also used The Kids’ Wildlife Book to learn how animals like the armadillo can get moisture even when they live in dry climates. We learned about non-standard measurement in math and tried measuring our horse in hands. We ended our unit with a trip to the rodeo! I hope you enjoy the Armadillo Rodeo unit as much as we did! My son and daughter are five years apart, so sometimes it’s difficult to find read alouds that interest both of them. I was so excited that Mrs. Piggle-Wiggle was a hit with both of them! Mrs. Piggle-Wiggle was first published in 1947, but somehow it stayed off my radar until a few years ago when I heard a bit of it during a storytime read aloud. Even then, I didn’t really take notice (perhaps because I was still in a sleep-deprived haze from my newborn daughter). As I tell my son, though, sometimes you come back to a book you thought you wouldn’t like and discover it’s wonderful, and I’m so glad we came back to Mrs. Piggle-Wiggle! The children of Mrs. Piggle-Wiggle’s town are much like children everywhere. They’re kind, funny, imaginative, and flawed. Some of them don’t want to do their work, some are picky eaters, and some are just downright rude. And, like parents everywhere, their moms and dads sometimes reach the ends of their ropes and look for help. In this case, it comes from Mrs. Piggle-Wiggle, who is always ready with a crazy cure, from planting seeds on a child who doesn’t want to bathe to labeling every single item belonging to a selfish child. However outlandish the child’s behavior is, the cure is sure to be equally over the top! Betty MacDonald has written a story that provides many opportunities for some really good discussions. Behaviors and attitudes are easy topics to bring up, especially since most children have displayed many (if not all) of the ones in the book at some point in time. Instead of being preachy and didactic, though, MacDonald has Mrs. Piggle-Wiggle solve these problems in hilarious ways so that it doesn’t seem so personal when you are discussing the same problems with your children. It’s nice to have something lighthearted to refer back to when I’m reminding children that yes, they do need to take showers, even if they bathed two days ago! Also, because this book was written so long ago, some of the home situations and even some of the language may not be so familiar to all kids, so these are great points of discussion, too. If your children like Mrs. Piggle-Wiggle, there are four more books in the series. We read all of them aloud, but they are geared toward elementary school readers if you don’t want to continue the series as read alouds. All of the books were enjoyable, but I think the original book is the best. If you want to start your school year off with a read aloud that everyone can enjoy, try Mrs. Piggle-Wiggle and I don’t think you’ll be disappointed! Oh we have another fabulous lapbook to show you all today!! This one is from Kayla, at The Arrowood Zoo on Mike Mulligan and His Steam Shovel! Mike Mulligan is just one of those classics that all kids need to read. Don’t you think?? And doing a lap book along with any book will really help to cement what you are learning! I love that Kayla’s son looks so proud of his work! Way to go! For this study, Kayla and her kids learned about states of matter, landforms and several different character traits!! So much learning to be found in these great children’s books! Thank you so much for sharing, Kayla! I know everyone is going to love looking at your Mike Mulligan lap book pictures! I’ve been homeschooling for quite a while and just recently graduated my oldest son. Back when he was in kindergarten I came up with the idea of planning an interest lead study for summer time adventure and exploration. During the year I would make note of his particular areas of interest and then at the start of the summer present a themed box on that interest. As my younger children began to join in on the unit study fun during the school year they would also be presented with a box at the start of summer. For a few years I had four separate boxes going at the same time. 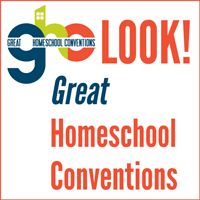 I coined the phrase “Summer Adventure Box” and mentioned the concept on a homeschooling forum. Since then some other members of the homeschool community have created special boxes of summer fun for their children. However, I no longer put together summer adventure boxes for my children. Instead of opening a box they go outside and step into their personalized year round learning box. As my children’s skills have increased and their abilities have improved my husband and I have determined to provide a studio for each child appropriate to his/her specific interest and style of learning. So far three of our children have a special studio with plans in the works for the fourth and final studio. So let’s step inside the box. Here is a picture of Ajax’s biking and fishing shed. He has always had a passion for fishing which has spread out from catching fish to hand tying flies and carving lures. Notice his studio (he calls it his fishing shack) has a cleaning station out front with lighting for those late night catches. He also keeps his ever expanding collection of antique fishing gear and memorabilia on the walls inside. His special place also hold his bikes and in particular THE bike that has been modified with an original design rod rack on the back. Bear has been a builder and craftsman from the beginning. He has always had an affinity for cardboard and duct tape. With age and experience he now handles tools (including some power ones) with skill. He creates wooden barns, woodland homes, as well as toy airplanes, ships, and automobiles. His current interest is creating weapons for reenactments. His studio has electricity, shelving, tools of the trade, and work benches indoors and out. This spring we began another building project. It was time for the girl to get a fully set up studio for her sewing and paper crafting. Much to the boys’ shock Thimble’s sewing palace has air conditioning! She also has custom built shelves and work tables for her sewing machines in the works. She spends so much time creating that her bedroom just –well to put it nicely- her bedroom can’t handle the crafting and sewing she produces. So this summer the Stucco Seamstress goes into business. I find it so inspiring to see how little interests that began due to unit studies progressed into summer adventure boxes and then from summer adventure boxes into individual studios. Another point I would like to mention is that special places like these don’t have to be expensive. A lot of our materials were salvaged and building the studios were a special project on their own. My husband and father planned and carried out most of the work with my three sons assisting and helping as needed. Lots of practical math is involved in building projects of every size. Another idea is to consider converting an unused or seldom used part of your home into a studio. Think about the type of work that will be done and plan accordingly. Thimble really did need special work tables and tons of electric outlets for sewing machines, irons, and laminating machines. Woodworking seems best with some indoor space for delicate projects and outdoor work areas for larger sturdier pieces. A fishing shack needs outdoor lighting, water, and a cleaning table. Think about your child’s needs for workspace, storage, lighting, and display. With some creativity and thinking out of the box you can fuel the passions of delight directed project based learning. Special thanks to guest blogger, Ging, an eclectic, creative homeschool mom of four, who can be found blogging at Tortillas for Breakfast. August is American Artist Appreciation Month, and we at Homeschool Share are ready to celebrate! We have chosen five of our favorite American Artists to showcase for August’s Tea Time posts, covering a variety of styles including folk art, romanticism, modernism, realism, abstract, and pop. Help your children learn to appreciate great art by stopping by our blog between August 12th and 16th.